The Republicans’ hold on the office of governor in Connecticut came to an end in 1931 when Wilbur Cross was inaugurated. Cross seemed to be the opposite of one who could unseat anyone, much less an entrenched political force. He was 68 years old, just retired from Yale, and had never held an elected public position before. Wilbur L. Cross grew up in Mansfield, the son of Samuel and Harriet M. (Gurley) Cross. 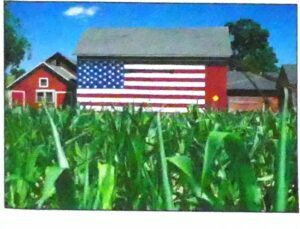 His family farmed and was involved in some manufacturing. Cross worked at times at a local store. He attended Natchaug High School in Willimantic and went on to study at Yale University. He graduated from Yale in 1885 and four years later earned his doctorate degree there. Cross spent several years as a high school principal and schoolteacher at Staples High School in Westport before being offered a job as a professor of English at Yale in 1894. Over the next 36 years, he taught at Yale, became editor of the Yale Review, and became Dean of the Yale Graduate School. In 1930, Cross retired from Yale. Although he had never held public office, he belonged to an informal group of Yale men and New Haven personalities that met weekly, and here, Cross often presented his political views in dramatic fashion. When the state’s distraught Democratic Party was seeking a gubernatorial candidate to run against the strong Republican machine, Cross was pushed for the honor by New Haven’s Democrats and was nominated at the 1930 state convention. Cross used his country humor and personality to help defeat the Republican candidate, Ernest E. Rogers, by 5,465 votes. He especially pushed for repeal of Prohibition. He was the only Democrat to win a state office that year, but as the Great Depression continued into the decade, the Democrats eventually gained control of the government. Cross was re-elected three times and served a total of eight years, the first to do so since William A. Buckingham, who was governor from 1858-1866. Even though the Republicans controlled the General Assembly during his early terms, Cross was able to work with it to achieve some programs to help the unemployed. Under his leadership, Connecticut eventually adopted the New Deal programs of President Franklin Roosevelt. During one violent strike in Connecticut, he personally used his position as governor to bring management and labor together. In 1935, Cross presided over the state’s observance of its 300th anniversary – the Tercentenary Celebration. The Celebration began on April 26, when members of the three branches of state government marched from the State Capitol to Bushnell Memorial Hall to commemorate the first meeting of the General Court. Throughout the spring and summer festivities were held statewide. 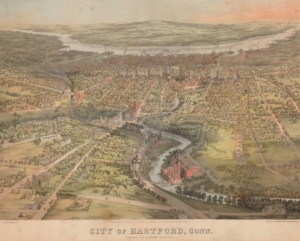 The Celebration concluded on October 12, with a parade of 20,000 people through the streets of Hartford. In contrast to the celebrations the year before, 1936 saw destruction in the form of a devastating flood. When the waters receded, Cross set up an Emergency Council to coordinate relief efforts. It was the worst recorded flood in Connecticut up to that time. In November of that year, Cross made his famous Thanksgiving Day proclamation. By 1937, Cross enjoyed a Democratic General Assembly and was able to have his reorganization plan for state government implemented. One of its goals was to create a merit system for state employment, instead of filling vacancies through political patronage. While previous twentieth century governors had used the office as an honorary position as much as an administrative one, Cross made it a full time job and worked at being governor even when the Legislature was not in session. On June 29, 1938, the first 17.5 miles of the Merritt Parkway opened. Cross presided over the opening ceremonies, and was in the first car to drive over the now historic road. The Merritt Parkway, which winds its way from Greenwich to the Housatonic Bridge at the Stratford and Milford border, was the largest public works project in Connecticut up to that time. It was not built without controversy, however. Rumors of land purchasing schemes by real estate agents employed by the State Highway Department led Cross to assign the Commissioner of Public Works, Robert A. Hurley, to investigate. After much controversy and scandal, a Grand Jury was convened in Fairfield County, and on April 28, 1938, it issued a final report denouncing the land purchases and calling for the resignation of the Commissioner of the State Highway Department, John A. MacDonald. Though McDonald resigned the next day, he was invited by Cross to attend the opening ceremonies. In September of 1938, disaster struck Connecticut again, this time as a hurricane. Cross took part in a joint council with other New England Governors and representatives from the federal government to coordinate relief efforts. Cross ran for reelection in 1938, but a rejuvenated Republican party was able to defeat him, by 2,688 votes. A large number of votes for the third party candidacy of Jasper McLevy took away some of his former support at the polls. Cross continued his research and writing but did not abandon his thoughts of political office. He tried to secure his party’s nomination for governor in 1940, but lost toRobert A. Hurley, who went on to win the position. In 1946, at the age of 84, Cross ran for the unexpired term of US Senator Thomas C. Hart, but was defeated by Governor Raymond E. Baldwin. Two years later, Cross died. His obituary in the Hartford Courant mentioned his favorite quote by Mark Twain, “Always do right. This will gratify some people and astonish the rest.” Cross is buried with his wife Helen in the Evergreen Cemetery in New Haven. The Mansfield Historical Society owns the home where he was born, but a nearby house where he later lived is privately owned. His house in New Haven, where he lived while working at Yale and when governor, still stands, and it is privately owned. Schools in New Haven and Bridgeport are named in his honor, as is the Wilbur Cross Parkway. The former library building on the campus of the University of Connecticut in Storrs still bears his name. Crofut, Florence S. Marcy. Guide to the History and the Historic Sites of Connecticut. New Haven: Yale University Press, 1937 [CSL call number History Reference F 94 .C88 1937]. “Cross Elected Governor – Republicans Are Leading For Other State Offices.” Hartford Courant, Nov. 5, 1930, pg 1; digital images, Historical Hartford Courant 1923-1984 ( http://www.proquest.com/ : 1 May 2008). Cross, Wilbur Lucius. Connecticut Yankee: An Autobiography. New Haven: Yale University Press, 1943 [CSL call number F 100 .C7 A3 1943a]. 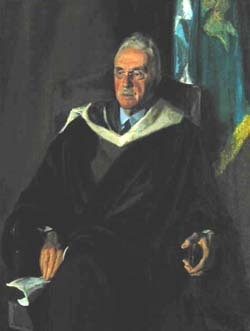 Davidson, Eugene A. “A Cross for Connecticut.” Outlook and Independent. New York: The Outlook Company, Vol. 157 (January 14, 1931) 62-64, 74 [CSL call number Z9999 .O98]. “Flags Dipped in State to Honor Cross.” Hartford Courant, Oct. 6, 1948, pg 1; digital images, Historical Hartford Courant 1923-1984 (http://www.proquest.com/ : 17 April 2008). Marsh, William John. The Man With a Million Friends, Wilbur L. Cross. 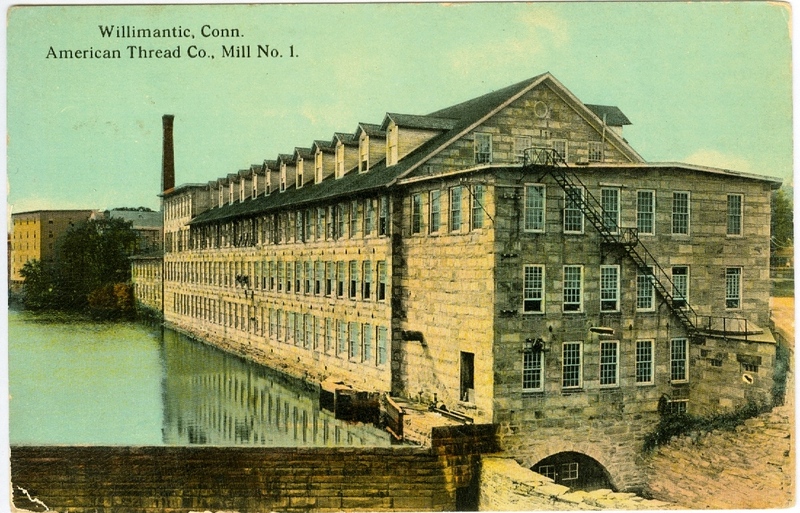 New Milford, CT: Marsh Bros., 1934 [CSL call number LD 6331.C7 M3 1934]. Murray, Sister Mary. “Connecticut’s Depression Governor: Wilbur L. Cross.” Connecticut History. New Haven, CT: Association for the Study of Connecticut History, 16 (August 1975), 44-64 [CSL call number F 91 .C668]. State Archives Record Group 005:026, Office of the Governor, Wilbur L. Cross, 1931-1939. Materials in the State Archives are subject to the Rules and Procedures for Researchers Using Archival Records and Secured Collections Materials. State Archives Record Group 069:096, Wilbur L. Cross Papers, 1914-1949. Woodbury, Robert L. “Wilbur Cross: New Deal Ambassador to a Yankee Culture.” New England Quarterly. Boston: The New England Quarterly, Inc., Vol. 41 (September, 1968). Available through JSTOR. 45” x 55” in its frame, painted in 1932 by Charles L. Hopkinson, although it was not put on display until December of 1938.